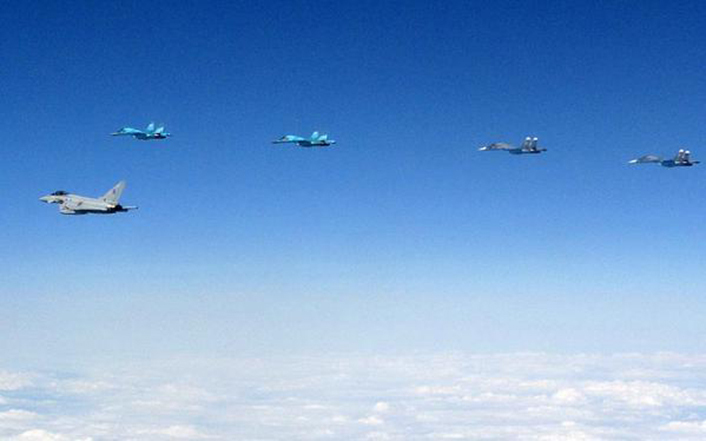 HomeRogue StatesPhotos of 10 Russian warplanes intercepted by RAF Typhoons over the Baltic Sea….in one sortie! 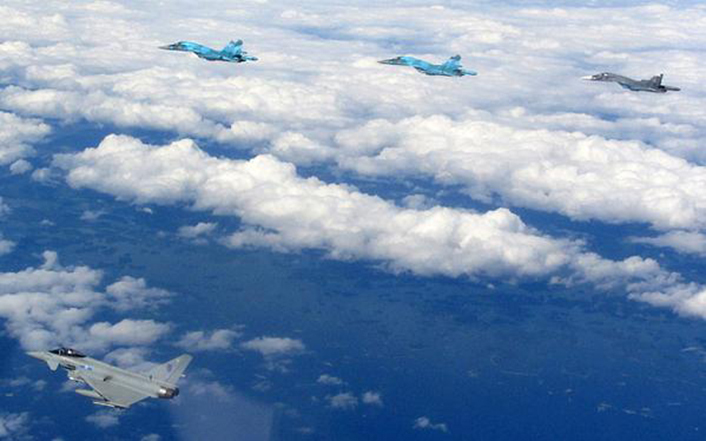 Last Friday was quite a busy day for the RAF Typhoons supporting NATO Baltic Air Patrol mission. On Jul. 24, the Royal Air Force Eurofighter Typhoon jets intercepted and identified 10 (!) Russian military aircraft flying in international airspace over the Baltic Sea. The RAF Typhoons from 6 Sqn at RAF Lossiemouth, in QRA (Quick Reaction Alert) at Amari airbase, Estonia, were launched as a large formation of Russian planes flew close to the Baltic States airspace (most probably going to or returning from Kaliningrad Oblast). According to the UK MoD, once airborne, the RAF jets identified the aircraft as 4x Sukhoi Su-34 Fullback attack planes, 4x Mikoyan MiG-31 Foxhound fighters and 2 x Antonov An-26 Curl transport aircraft who appeared to be carrying out a variety of routine training. Newsworthy, Russian activity in the Baltic region has increased even more in the last few days. On Jul. 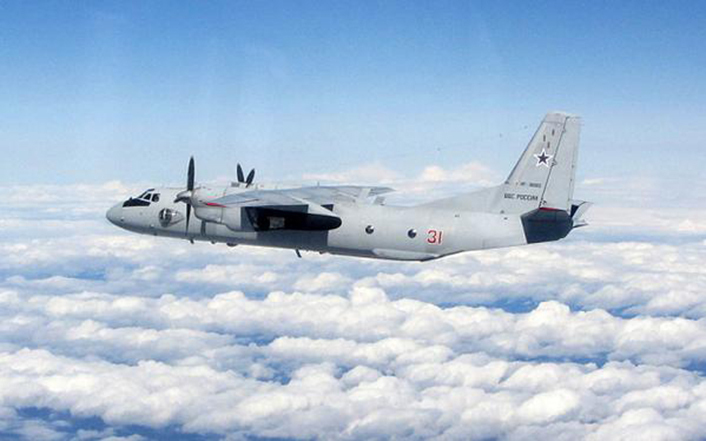 29, NATO interceptors identified 12 Russian military aircraft flying near the Latvian border: 3x An-76 and 1x Il-76 cargo planes, 4x MiG-31s and 4x Su-24s, were detected flying near the Latvian outer sea border, above the Baltic Sea in international airspace.